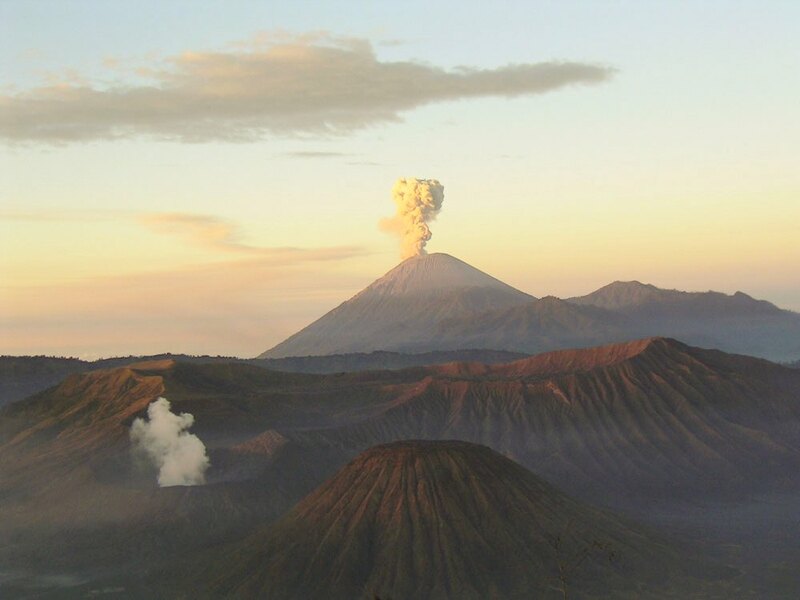 Today’s featured volcano is the largest and one of the most active in Java, Indonesia. It has been active for the past few months, spewing out pyroclastic flows and building a small dome. Though it is popular with trekking groups, Semeru has a history of explosive activity and has caused the deaths of hikers and scientists alike. Semeru Volcano in Java, Indonesia. Photo by Tom Casadevall 1985, USGS. Semeru Volcano in Indonesia. Photo by Jan-Pieter Nap 2004. Most Recent Activity: CVGHM reported that during 1-29 February multiple pyroclastic flows from Semeru traveled up to 2,500 m into rivers on the S flank.. During 1 February-30 April dense gray-to-white plumes rose 100-500 m above Jongring Seloko crater and drifted W and N. Incandescence was visible up to 50 m above the crater during 1 February-31 March. Seismicity decreased from March to April. Observations indicated that the lava dome grew in April. On 2 May CVGHM lowered the Alert Level to 2 (on a scale of 1-4) and reminded the public not to approach the crater within a 4-km radius. 1981 A heavy rain following years of pyroclastic flows and other ash-depositing eruptions resulted in a mudflow (lahar) which swept down a valley and killed over 250 people in villages downstream. 1946, 1909, 1895, 1884 Other eruptions which resulted in lahars, damage and fatalities. Geologic History: Gunung Semeru was constructed south of the overlapping Ajek-ajek and Jambangan calderas. A line of lake-filled maars was constructed along a N-S trend cutting through the summit, and cinder cones and lava domes occupy the eastern and NE flanks. Summit topography is complicated by the shifting of craters from NW to SE. Frequent 19th and 20th century eruptions were dominated by small-to-moderate explosions from the summit crater, with occasional lava flows and larger explosive eruptions accompanied by pyroclastic flows that have reached the lower flanks of the volcano. 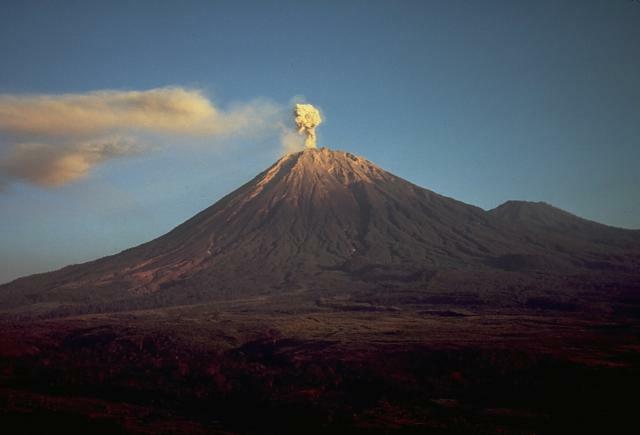 Semeru has been in almost continuous eruption since 1967. Eruptions are typically vulcanian; mudflows are the greatest hazard. Info from CVGHM and the Smithsonian Global Volcanism Network. This entry was posted in Uncategorized and tagged Indonesian volcano, Semeru, Volcano, Volcanoes by volcanovideo. Bookmark the permalink.